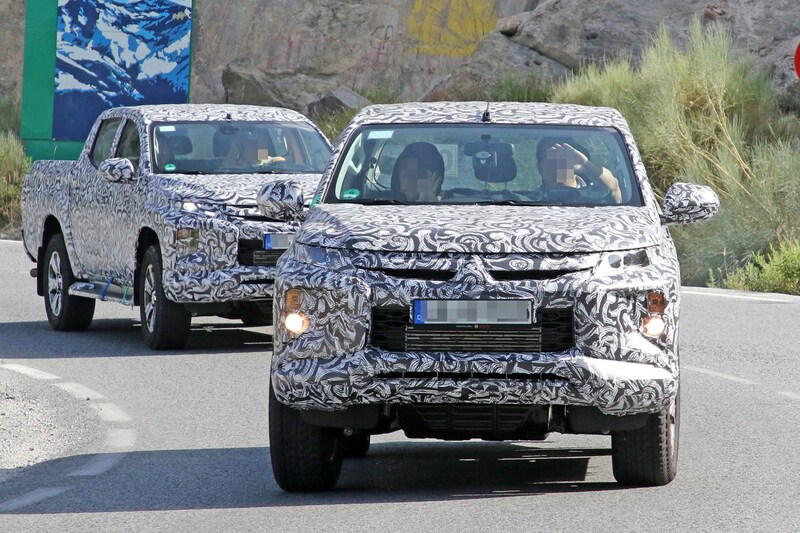 Looks like a significant update for the Mitsubishi L200 pickup truck is on the way, as our spy photographers have caught a small convoy of heavily disguised prototypes testing on the road. Even the wheels are covered in camouflage. 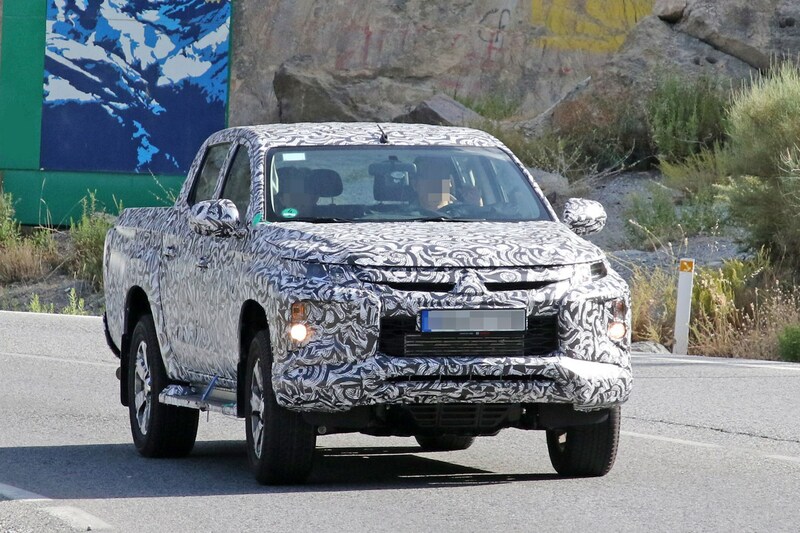 Details are scarce – certainly there’s nothing official from Mitsubishi at this stage – but the pictures do allow us to draw a few conclusions about the L200 facelift that is now surely coming in 2019. 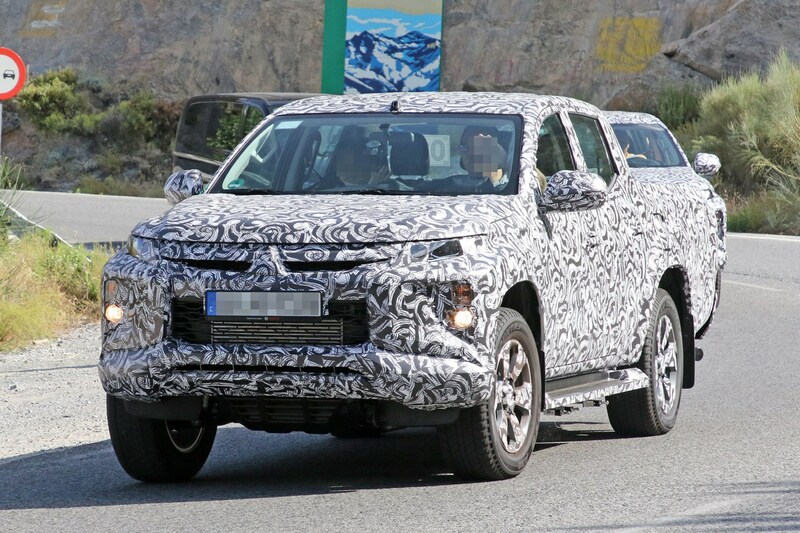 What makes you so sure a new Mitsubishi L200 is coming in 2019? 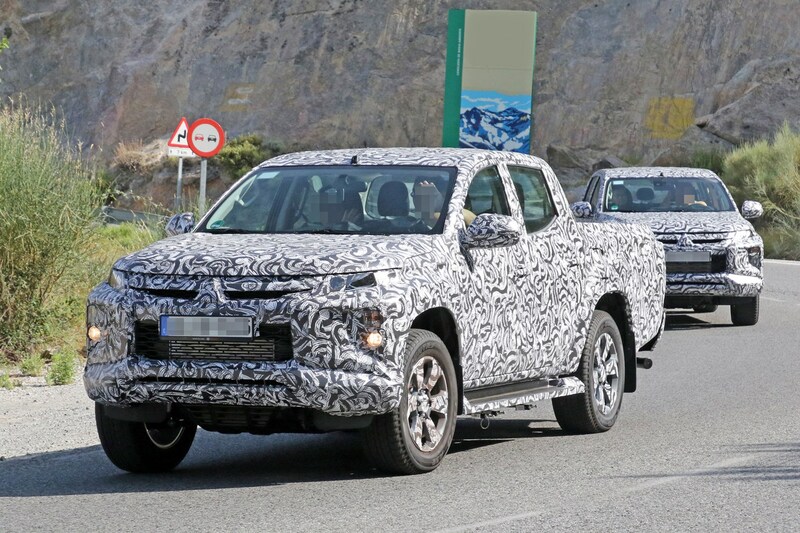 The current Mitsubishi L200 – also known as the Mitsubishi Triton in other parts of the world – has been on sale since 2015, so a late-2019 update would make sense in pickup lifecycle terms. Not least because the current L200, excellent though it is, is being increasingly outgunned by more powerful and more premium rivals. 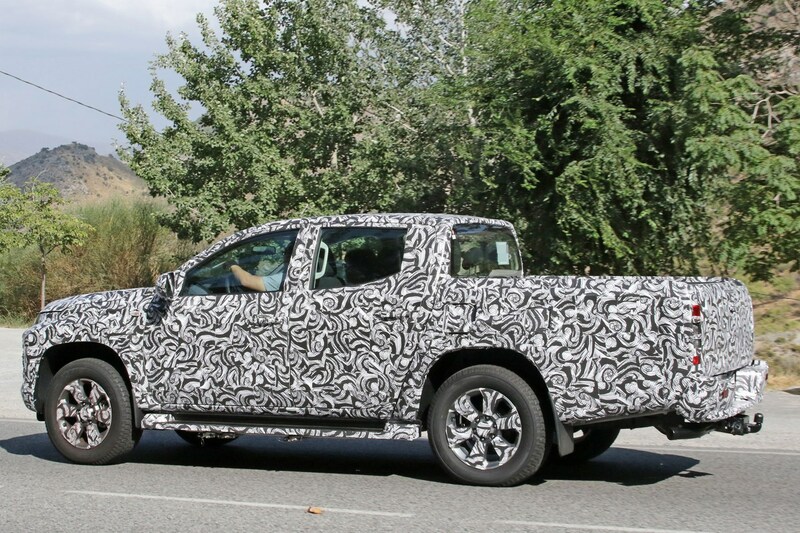 Will the new Mitsubishi L200 be based on the Nissan Navara? Ah, interesting question. 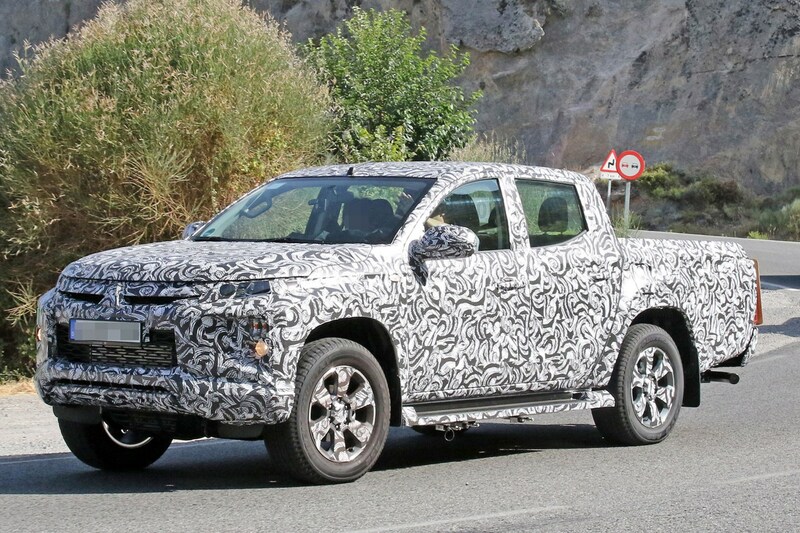 Mitsubishi has recently joined the Renault-Nissan alliance – which has become the Renault-Nissan-Mitsubishi alliance – and at some point it is going to make sense for all three brands to be selling a version of the same pickup. 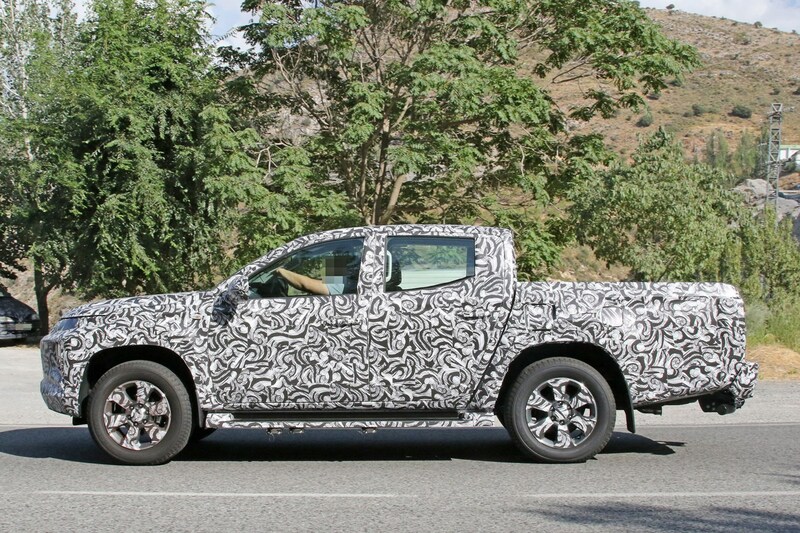 The Nissan Navara already forms the basis of the Renault Alaskan – and the Mercedes X-Class – and Nissan has recently expanded its production facilities into Latin America, so you’d have to assume it’s the lead pickup of the group. 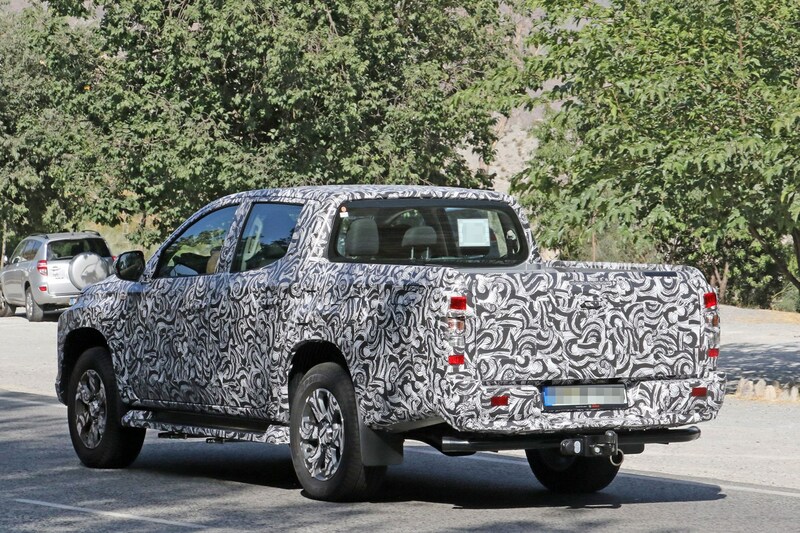 However, regardless of the heavy disguise, it is clear to see that these spy photos show an updated version of the existing L200, rather than an all-new one based on the Navara. How so? Check out the window-line in the rear doors, the angle of the mating point between the cab and load bed, and the faceted section at the top of the load bed – all of which are carried over from the present L200. 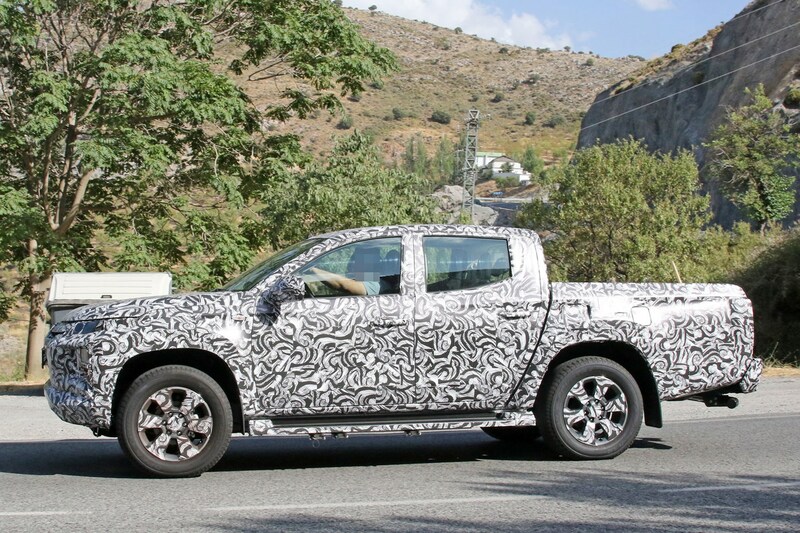 So what is new about the facelifted Mitsubishi L200 in the spy shots? Quite a lot. Let’s start at the front. 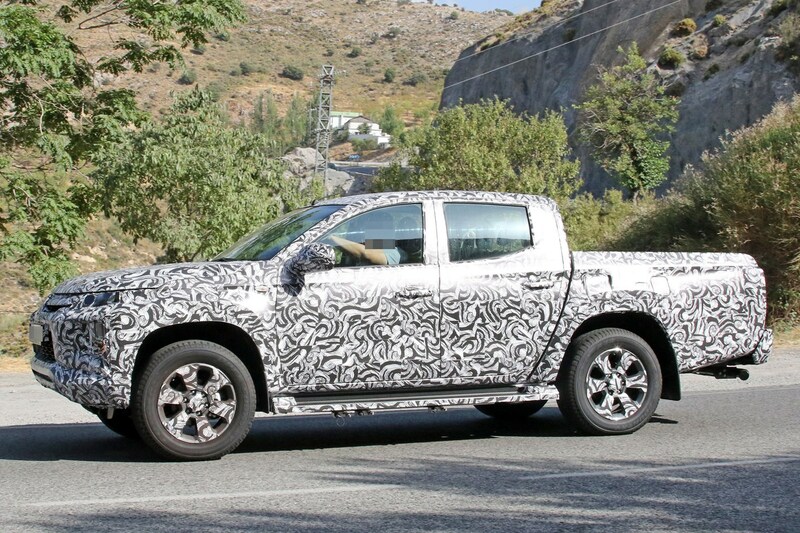 This is where the disguise is heaviest, and appears to conceal much narrower headlights with a secondary lighting area below. 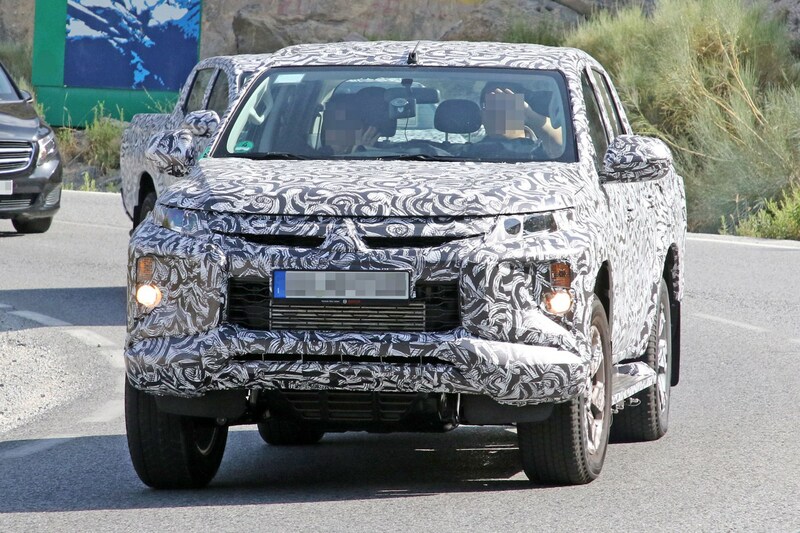 This would be in keeping with Mitsubishi’s latest design language, as seen on the Mitsubishi Eclipse Cross SUV. 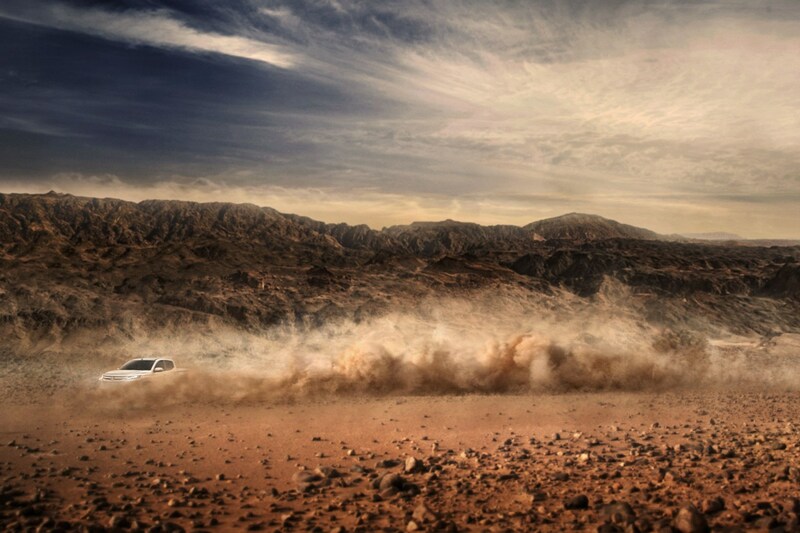 However, much of the rest of the made-over L200 appears to echo the Mitsubishi Shogun Sport. This perhaps shouldn't be a surprise, since the Shogun Sport is an SUV that's based on the L200. Examples of this include the bonnet and the flatter wheelarch profile at the sides, which both appear similar to the Shogun Sport. 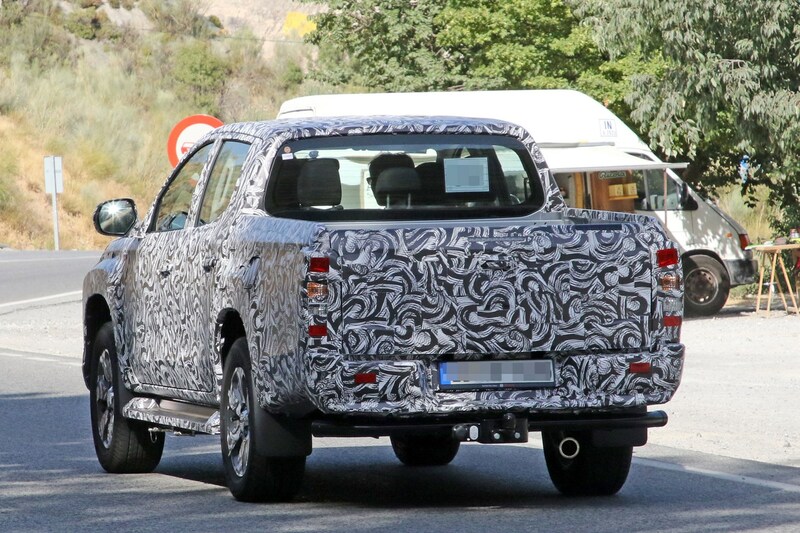 The current L200 has round arches with small extensions on double-cab lifestyle models, while this prototype appears to have them properly integrated. The entire front bumper assembly and the side-step design has also been modified here. 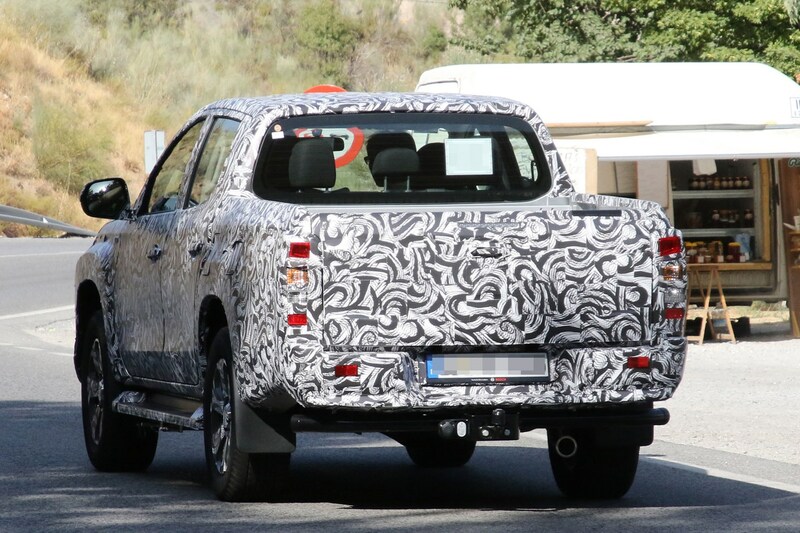 The rear is notably heavily camoed too, but the bumper again looks totally new. The lights also appear slimmer, and no longer seem to wrap around into the load bed sides as much as they currently do – though the disguise is so heavy it’s difficult to be sure. Regardless, it’s a comprehensive makeover. Any other changes on the way? We can’t see from these pics, but we’d expect a thoroughly revised interior, as it's presently one of the most dated areas of the L200. Similarly, we imagine the engines will get an overhaul as well, delivering more power and meeting the latest Euro 6D Temp emissions regulations. 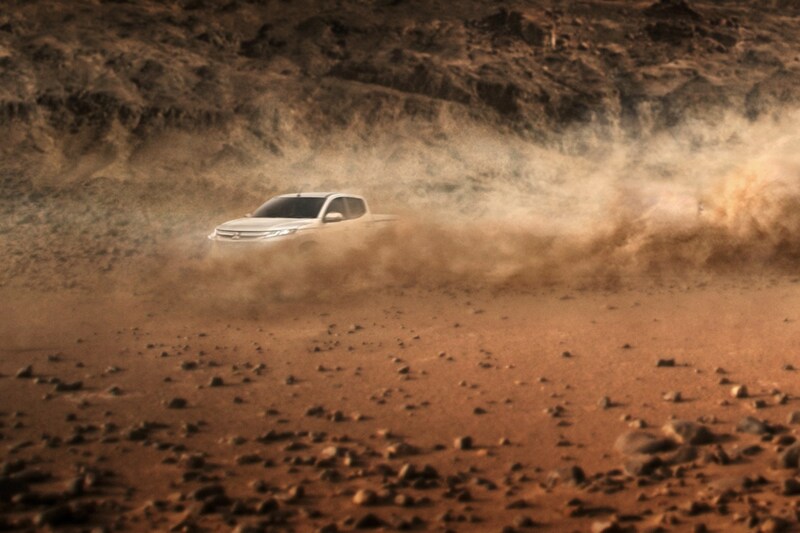 When will the new Mitsubishi L200 go on sale? 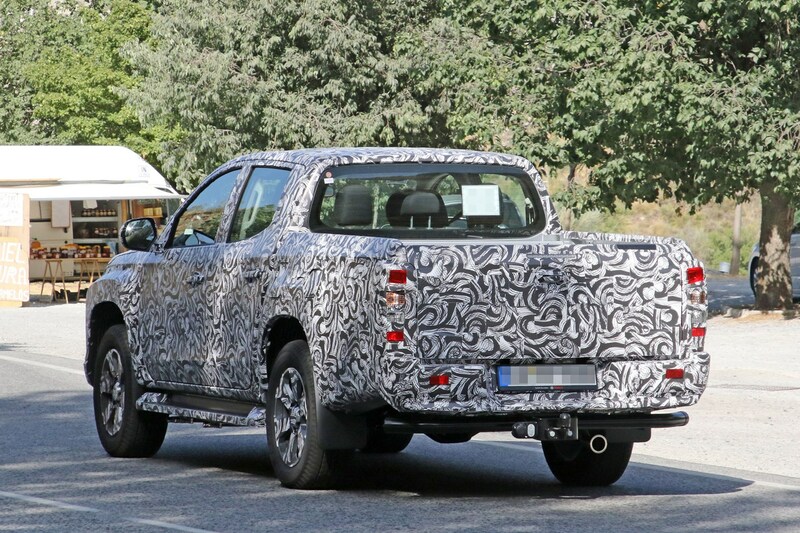 There has been nothing official from Mitsubishi at all at this point, which suggests the new L200 won’t be going on sale until the latter part of 2019 at the earliest. As soon as there is more info, rest assured you’ll be the first to know. The L200 is one of our favourite pickups, thanks to its lightweight design, compact dimensions and strong value – especially now it’s been upgraded to tow 3.5 tonnes – so we’re pleased to see Mitsubishi is updating rather than replacing it.